A jackal jumped into a jar of jam in Jamestown. 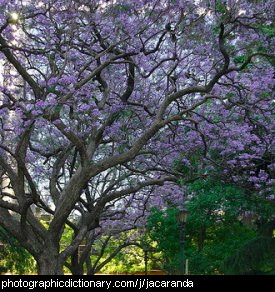 The jacaranda is a tree originally from Mexico. It is deciduous, and is covered in purple flowers in spring. They survive well in areas with long, hot summers. Jacarandas are frost sensitive when they are young, but frost hardy when they are older. A jack is a device for lifting heavy objects off the ground by pushing them up from underneath. Jacks are used to raise things a short distance only. 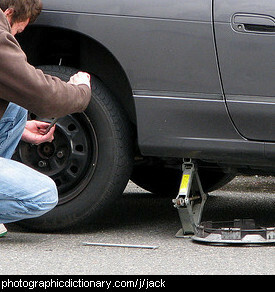 They are commonly used to lift one corner of a car off the ground while you change a tyre. Jack is also a variation of the name John. 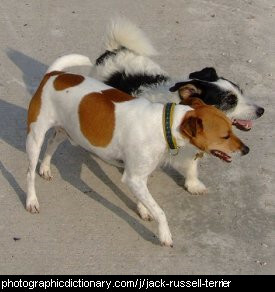 Jack Russells are small dogs that are mainly white, with patches of brown or black. They might have smooth or rough coats. They were originally bred for hunting foxes. They are intelligent, energetic, fearless and vocal. If they are left alone or not exercised enough, they can get bored and destructive. They do not make good indoor dogs. 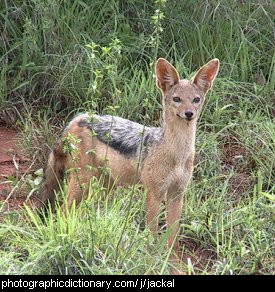 A jackal is a small to medium sized close relative of the dog. They are found in Africa, Asia and some parts of Europe. Jackals normally live together in pairs, although they will sometimes form small packs to hunt. They hunt small to medium animals, and will eat dead animals they find. Like household dogs they will also eat fruit and other plants as well as meat. 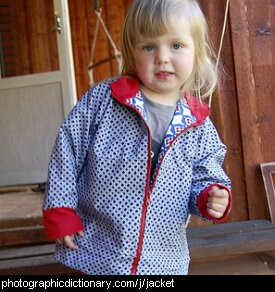 A jacket is a piece of clothing you usually wear over other clothes. The little girl in the picture is wearing a blue patterned jacket with red cuffs. 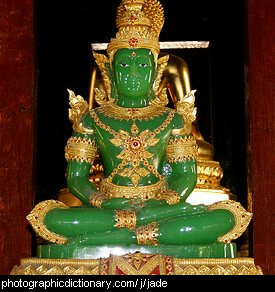 Jade is a green, ornamental stone that has been used to carve decorative items from for thousands of years. It is particularly popular among Chinese artisans. Jade is largely made up of iron, calcium and magnesium. The more iron, the brighter the shade of green. 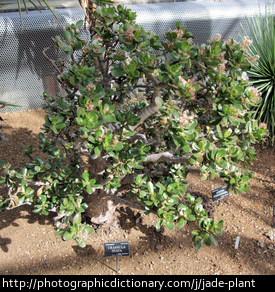 A jade plant is a succulent with spongy green leaves, thick stems and pink or white flowers. 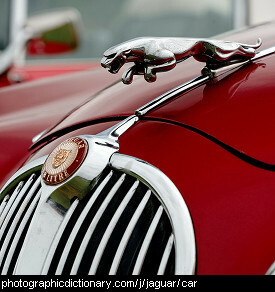 Jaguar is a luxury car maker based in Britain. 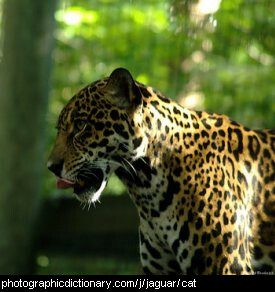 The jaguar is the third largest cat, after the tiger and lion. Jaguars look most similar to the leopard but behave most like tigers. A jail is another word for a prison. 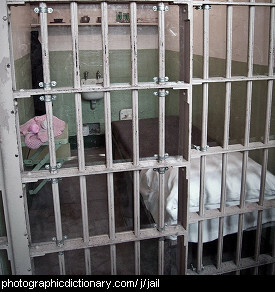 People who have done something wrong are locked in jail as a punishment.